Hyundai says the car's design language will appear on all of its future vehicles. Hyundai will debut a concept car which it calls the Le Fil Rouge at Plymouth, Michigan's 40th Annual Concours d'Elegance of America, which runs from Friday through Sunday, the company announced Monday. The car's name translates metaphorically from French as "the common thread," and is meant to represent the direction in which Hyundai intends to take the design of its entire lineup. 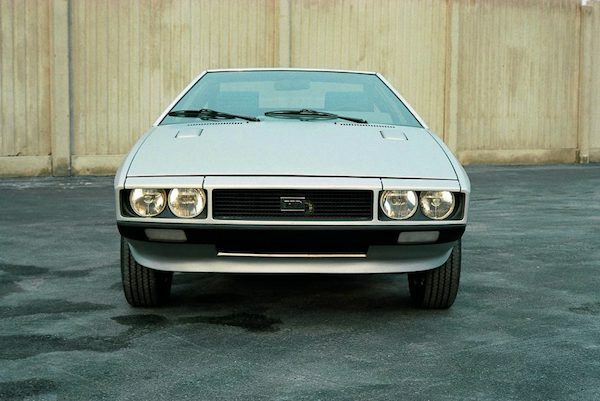 Hyundai refers to the car's styling cues as "Sensuous Sportiness," and says Le Fil Rouge is a re-imagination of its 1974 Pony Coupe concept car, which was styled by Italdesign, and is said to have eventually inspired the DeLorean DMC-12. Le Filly Rouge, as we now want to call it, was designed with the Golden Ratio of about 1.62:1 in mind, as is common in the automotive industry (Aston Martin boasts of its integration into the Rapide sedan's design). Hyundai also says that its intent was to create a vehicle that one could identify as a Hyundai from a distance, without taking a picture and asking the internet what's up. The only issue is that its front end somewhat resembles that of the 2018 Honda Accord from some angles—not that it's a problem; the current Accord is actually quite the looker. The "cascading grille" is described as the car's most distinguishing feature, in part because of its "parametric jewels." Whatever those are, they don't seem to come through in photos. Its interior is no less exotic (for a Hyundai), and is said to use aerospace-inspired, tubelike ventilation channels for a high-tech HVAC system. Real wood and high-end fabric engulf almost every surface, and the driver gets a panoramic touchscreen to control accessories, instead of a center console with a tacky-looking infotainment system pasted to its face. Instead, the center console protrudes back into the rear seats, occupying the same space one would normally reserve for, like, a really giant baguette. 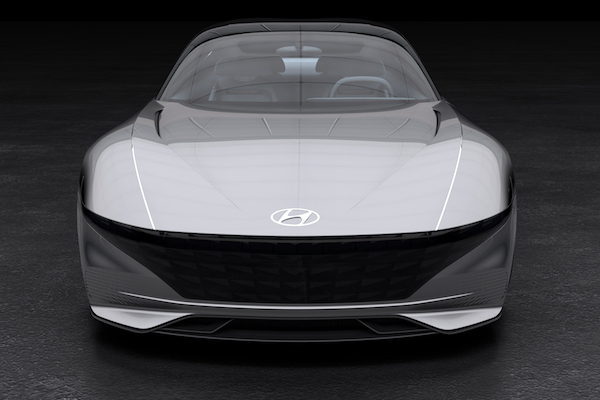 Hyundai's Le Fil Rouge Concept will be on display at the Concours event in Plymouth, Michigan over the weekend. Hyundai confirmed to The Drive that the Le Fil Rouge will also appear at the Los Angeles Auto Show in November. Lower price, more tech, more range. Will it sway crossover-focused customers? But customers still can't buy cars online. A defect is causing cars painted in Sunset Yellow to crack and chip.